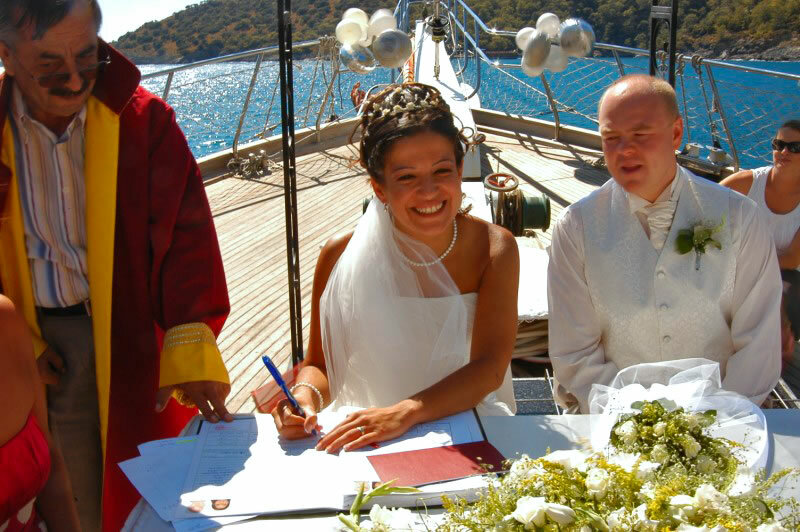 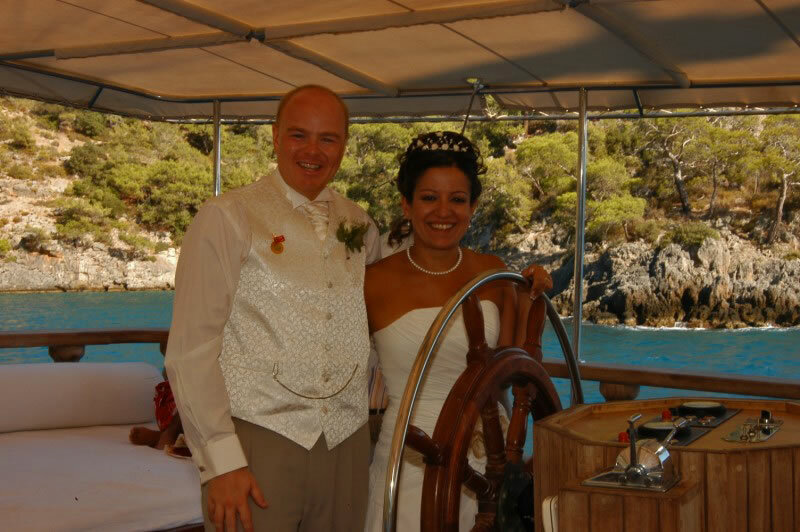 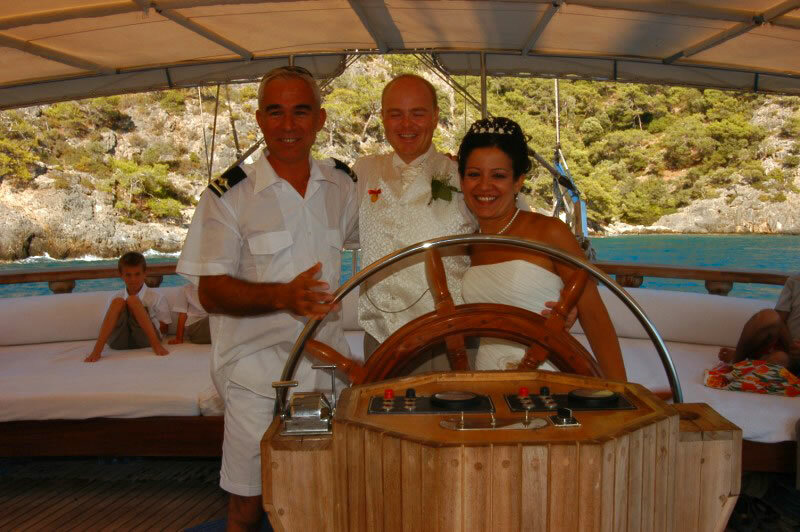 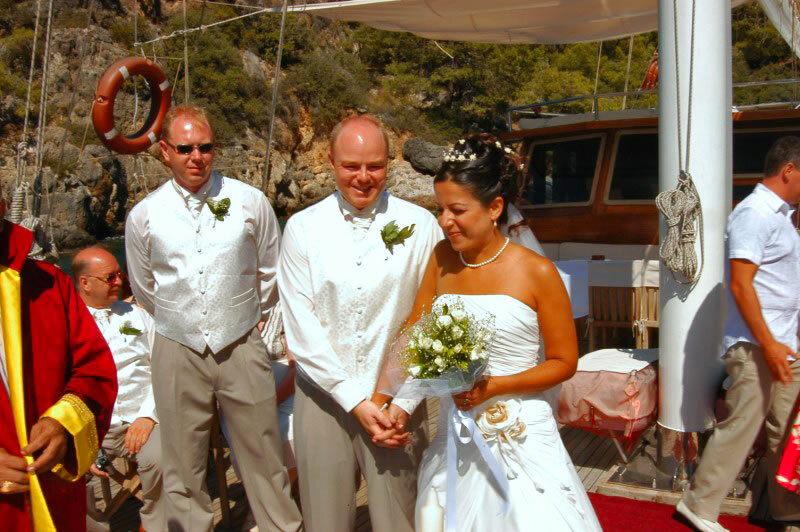 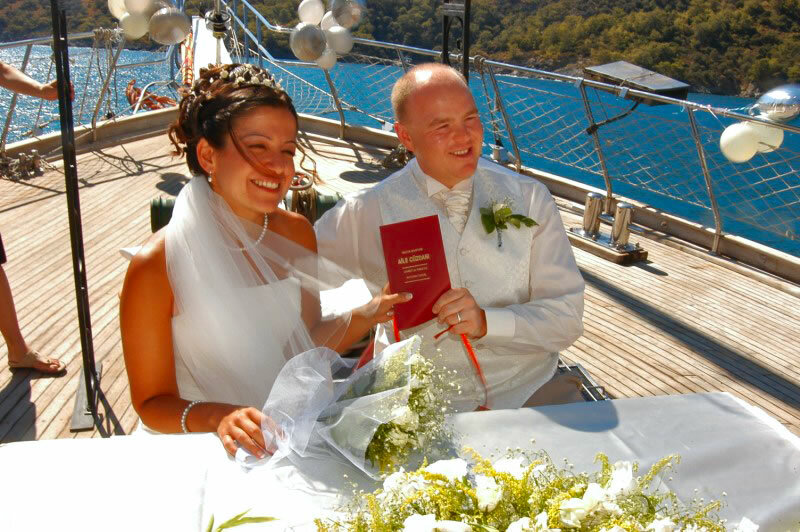 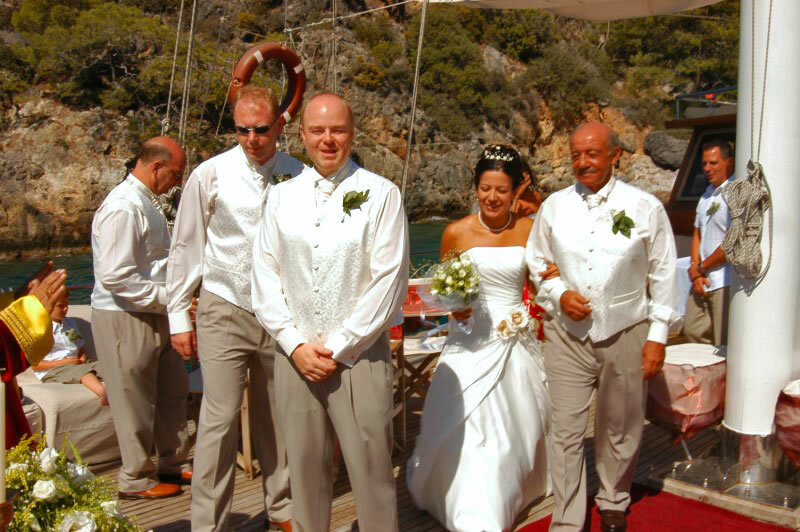 We think getting married on a gulet, moored in turquoise waters of a secluded bay, is one of the most magical experiences ever and many of our couples agree. 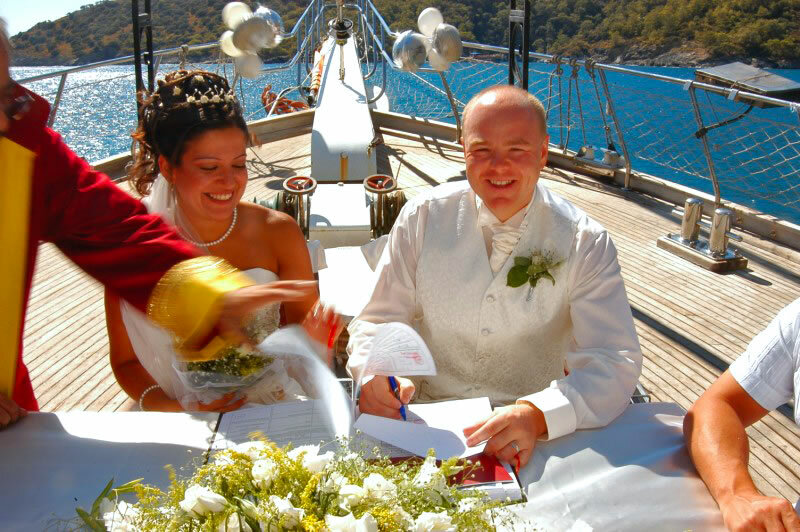 Early afternoon the captain and crew welcome everyone aboard in Fethiye’s picturesque harbour. 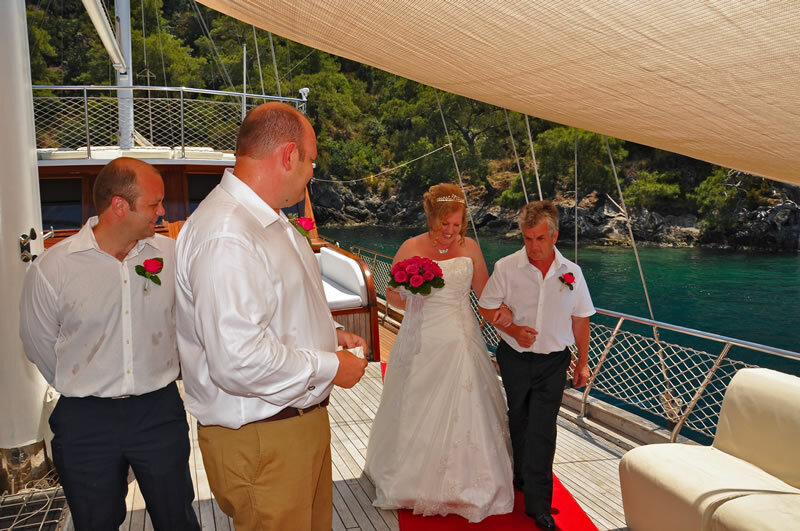 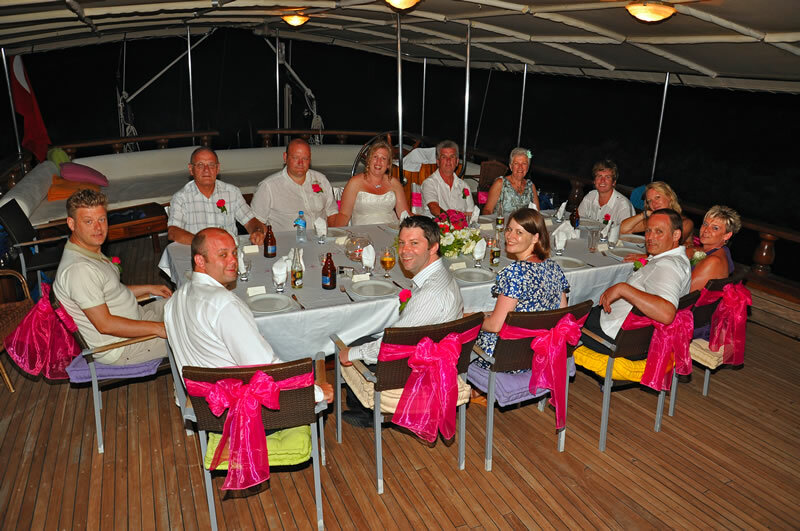 The ceremony takes place in a secluded bay followed by a light lunch. 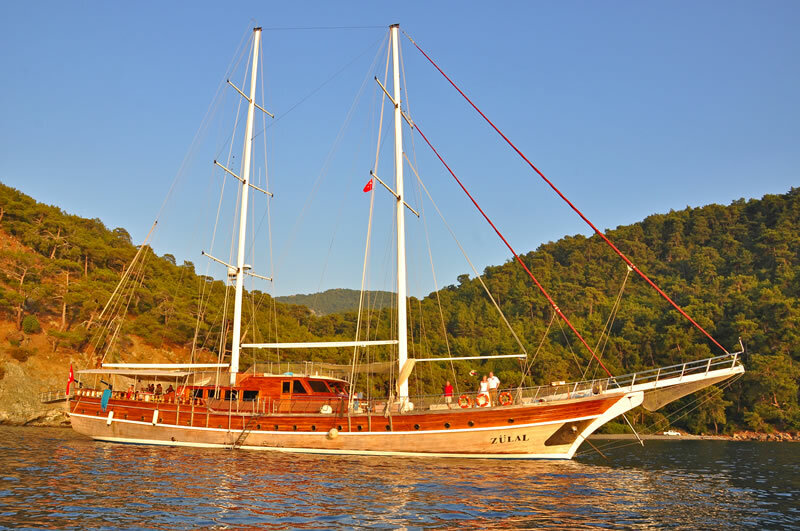 There is then time for a swim & relaxation before cruising into the sunset. 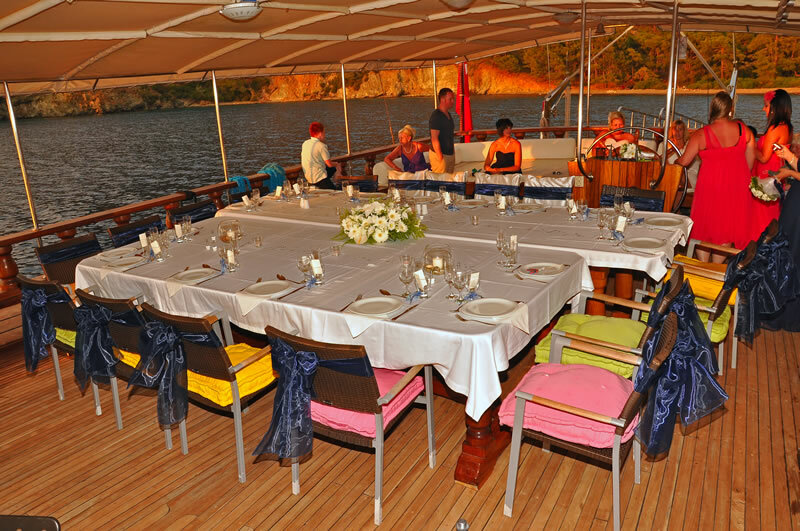 Finally, under a star filled sky, there’s a sumptuous gourmet barbecue and of course, music. 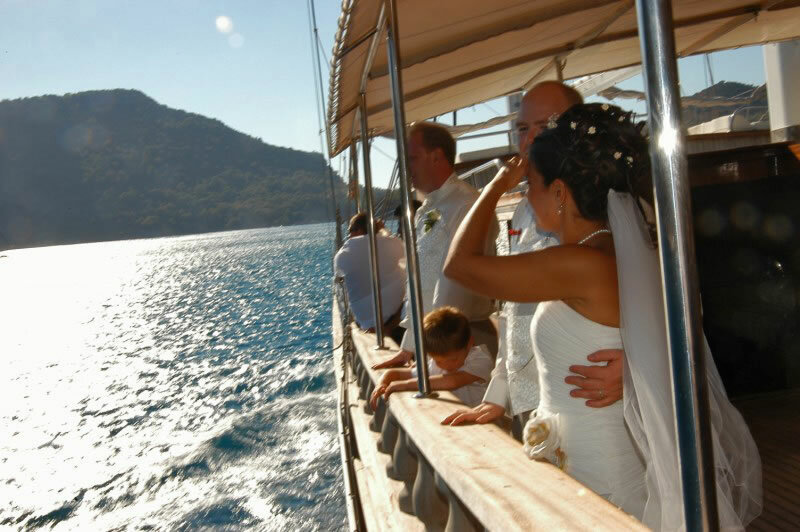 The final romantic touch is a night cruise back to the marina from where everyone will be returned to their hotels. 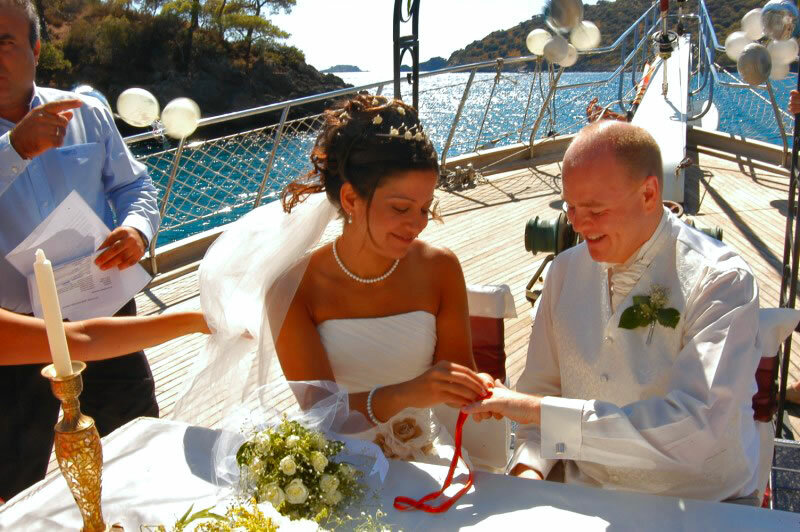 Alternatively, wedding parties can choose to spend the night on the gulet and wake to a delicious breakfast on the way back to Fethiye. 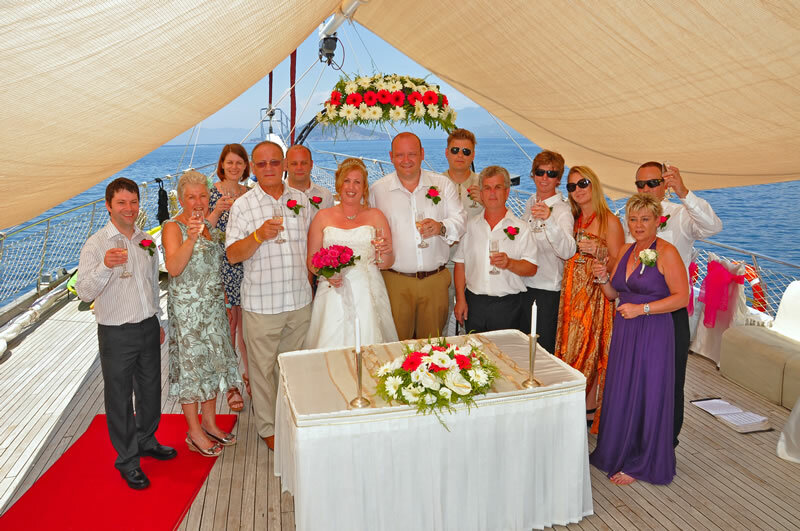 Numbers are limited to 20 people including the bride and groom. 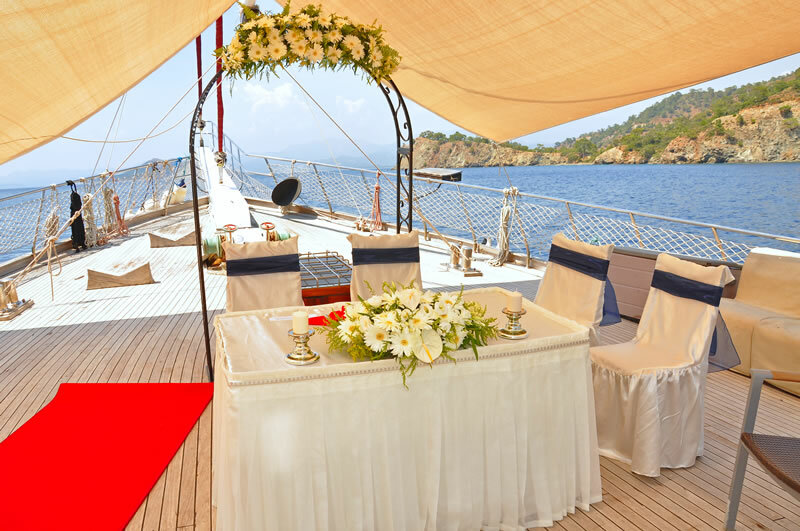 A gulet wedding is only available from early May to mid June and after mid September (not available during the high season 15 June-15 September).